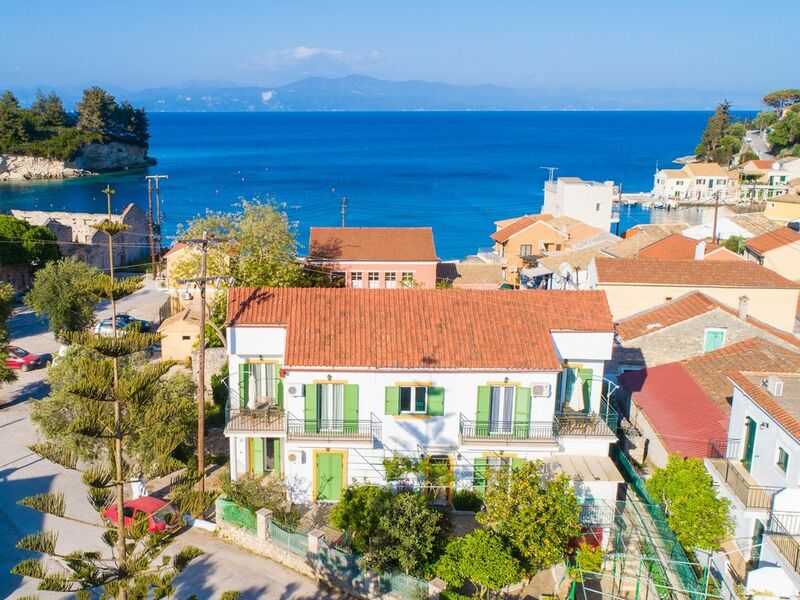 Irini is located in Loggos, Paxos. Our vacation rental property is air-conditioned and sleeps up to 4 people with 1 bedroom, 1 bathroom . The Villa is walking distance to the beach and restaurants. Irini has has 1 air conditioned bedroom. If additional beds are required there is 1 double sofa bed. The villa can sleep up to 4 people. We found the location and decoration of the property to be good and the apartment had everything you needed and of good quality, we loved the village and hope to come again. Just delightful. Location, and flat. We knew Loggos from last year and it’s as magical as ever. Tiny caveat: Irini balcony doesn’t get sun till 12 30 pm. Penelope gets it sooner and has a slightly quieter outlook. WOW!!!!!! That describes our experience at Irini Apt. It was clean (a must for me). It was way better than the photos. We would open the balcony door first thing each morning to let those ocean breezes blow in and have our breakfast and tea. So refreshing!!! We enjoyed the area as everything was so close. Its a very intimate atmosphere which was exactly what we were looking for. We hope we will be able to book it again when we go back to Paxos. L'appartamento è molto carino e ben fornito, tostapane, bollitore, forno microonde... C'è un ottimo rapporto qualità/prezzo. Peccato che il terrazzo non abbia vista sul mare che è davvero vicinissimo.